Rick Egan | The Salt Lake Tribune Rep. Norm Thurston, on the floor of the house, at the Capitol, Friday, February 17, 2017. A Utah House document indicates that Rep. Norm Thurston, R-Provo, was punished this month for a “pattern” of misconduct, not just a one-time problem. House Speaker Greg Hughes last week removed Thurston as vice chairman of the House Government Operations Committee, and he also was taken off of the House Health and Human Services Committee. Tribune columnist Robert Gehrke earlier reported that Thurston was punished for an inappropriate comment to a woman working at the Capitol, and had previously been admonished for his behavior toward women. The Tribune made an open-records law request for House documents related to such action. It received a one-paragraph memo about a Jan. 29 meeting by leaders, an attorney and others with a lawmaker, whose name was blacked out, that led to “remedial action” by House Speaker Greg Hughes. The memo signed by Debbie Cragun, the Legislature’s human resources administrator, says the discussion addressed concerns related to “compliance with federal and state compliance laws” and what it called “a pattern of practice” by the House member. 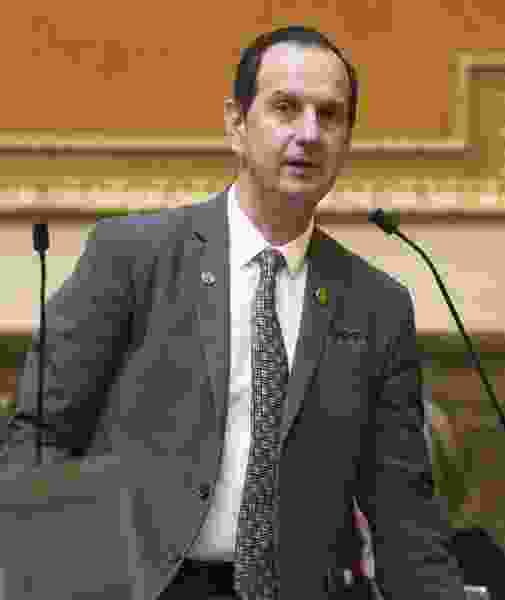 A memo about inappropriate behavior by an employee, whose name is redacted, obtained through an open records request Utah Legislature's Human Resource Department. That term suggests a pattern of problems and practice, not just a one-time occurrence. When Thurston was shown the document by the Tribune, he said, “I have no comment because I am not sure that document is about me” because the name on it had been blacked out.